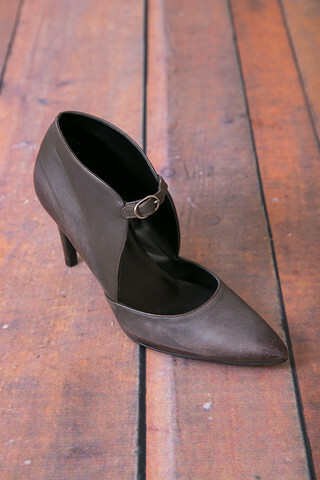 The One Kiss heels are the perfect go to dress shoe for just about any occasion. 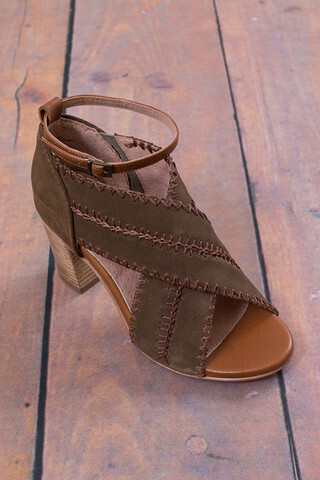 The simple block heel make them perfect for those outdoor events and allow for ease of wear. The woven style is elegant and adds a bit of sophistication to any outfit. 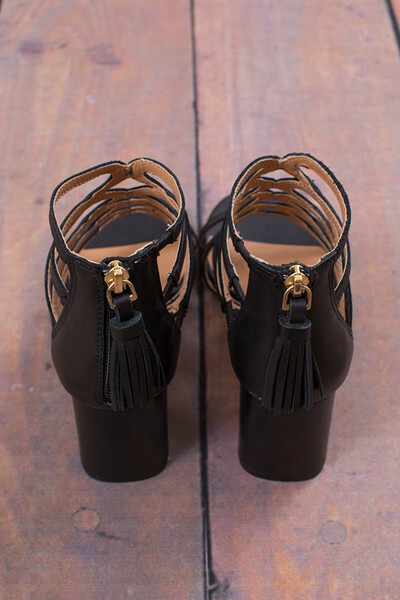 The back of the shoe is brought together with a simple gold hard wear zipper adorned with a black leather tassel. 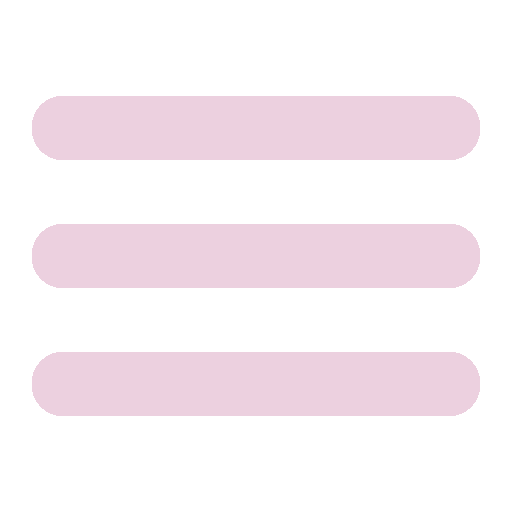 The sole of the shoe is padded to make these heels even more versatile to wear. 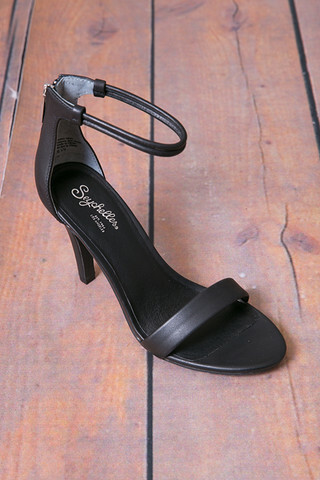 Made by Seychelles Footwear. Made of 100% genuine leather.